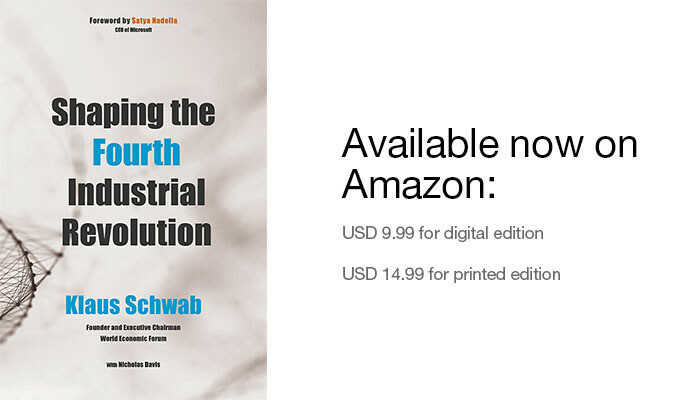 Shaping the Fourth Industrial Revolution draws on contributions by more than 200 of the world's leading technological, economic and sociological experts to present a practical guide for citizens, business leaders, social influencers and policy-makers. It outlines the most important dynamics of today's technological revolution, highlights important stakeholders that are often overlooked in our discussion of the latest scientific breakthroughs, and dives into 12 different technology areas key to the future of humanity. Will it be the top 1% at the expense of the rest of us, or will the proceeds be shared equitably enough to make it worthwhile for everyone? In this episode, experts in tech and governance discuss how countries can become more open, data-rich and responsive. With advances in genetic engineering, neuroscience, pharmaceuticals and prosthetics, are we poised to enter a ‘post-human’ era? Looking back at 2017, in what ways did emerging technologies significantly impact the world in the past 12 months? Podcast: What is the Fourth Industrial Revolution? AI has clear potential to transform outcomes in just a few years, with especially profound implications for poor countries looking to leapfrog decades of development. Podcast: A Revolution for the Environment? Does the Fourth Industrial Revolution give us the chance to reverse the damage we have done? How do you educate children for a future whose main characteristic is ambiguous change? Can AI create personal tutors for all? How can regulators assess the risks and mitigate them sensibly without stifling the enormous potential benefits that Fourth Industrial Revolution technologies have to offer?